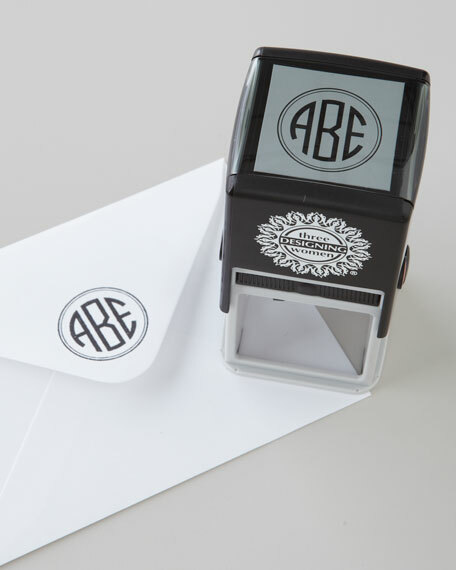 Three-initial monogram stamp includes a black ink pad. Personalization is in style shown; specify initials in the following order: First Name, Middle Name, Last Name. Monogram will print with Last Name initial centered and larger. Stamper, 2.5"W x 2.25"D x 4.625"T. Imprint, 1.5"Dia. Colored ink pads sold separately. Stamper made in the USA; ink pads, imported.